Cocktail lovers - it's time to take a trip to Wonderland! 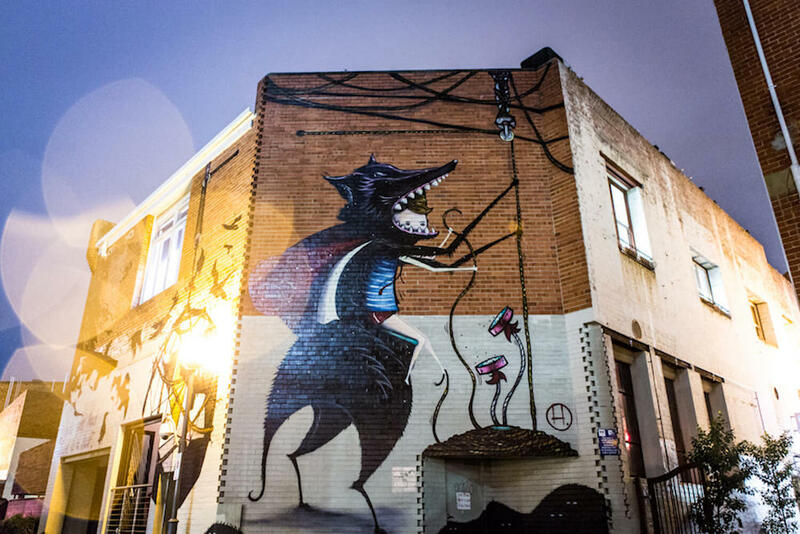 Tucked away in a small laneway at the rear of Murray Street is one of the hidden treasures of Perth’s small bar scene. 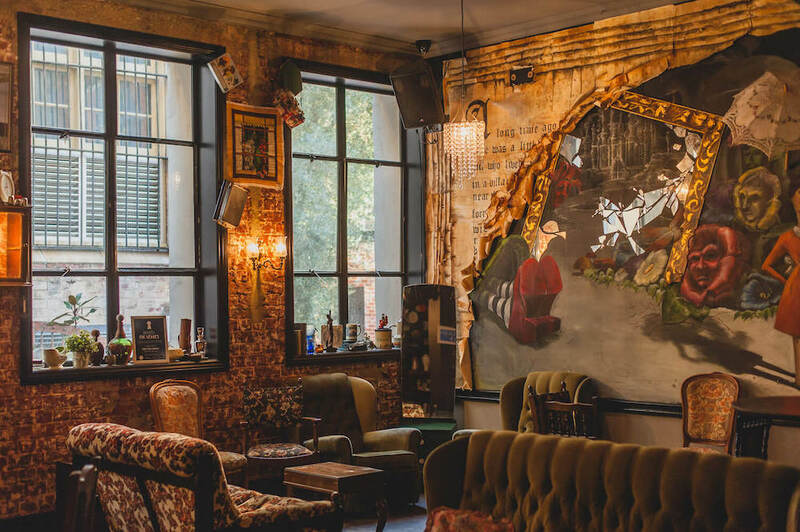 Decorated with antique mementos and fairytale-themed decor, Wolf Lane transports cocktail-lovers into a wonderland filled with elegant drinks, classical literature and childhood memories a-plenty. 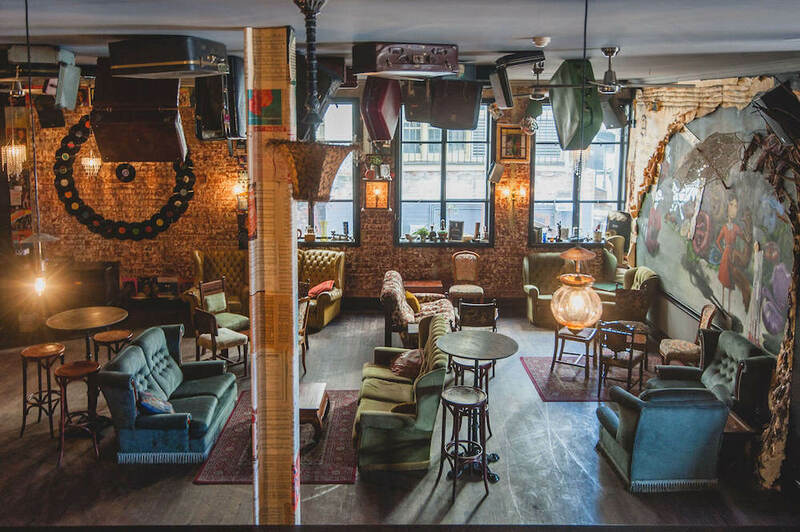 Alongside its antique interior and cosy decor, Wolf Lane has some pretty interesting offerings on its cocktail and food menus. If you’re organising a private event, you might get the chance to try some of the delectable dishes from “Little Red’s Party Mix” or the “The Huntsman’s Supper Station” - the Mac and cheese bombs and lasagne croquettes are a personal favourite. Sticking with the theme, the venue also offers the option to indulge in sweet treats from the lolly cupboard or Hansel and Gretel’s Donut Bar (you heard us - we have a feeling you won’t be leaving crumbs with this one). If you’re joining the party at the weekend, Wolf Lane is open to the public for drinks and snacks on Fridays and Saturdays, and there are plenty of options to tickle your tastebuds. On top of your usual wine and beers, the Wolf Lane mixologists have worked their own magic to create some pretty exciting cocktails. As well as the well-known classics, you can try literature-themed creations like Poison Apple and Catch-22. Or, if you like your cocktails with company, you can have your own little tea party with Wolf Lane’s signature “cocktail in a teapot”. Quick tip: happy hour takes place every Friday and Saturday from 4:30 pm to 5:30 pm. 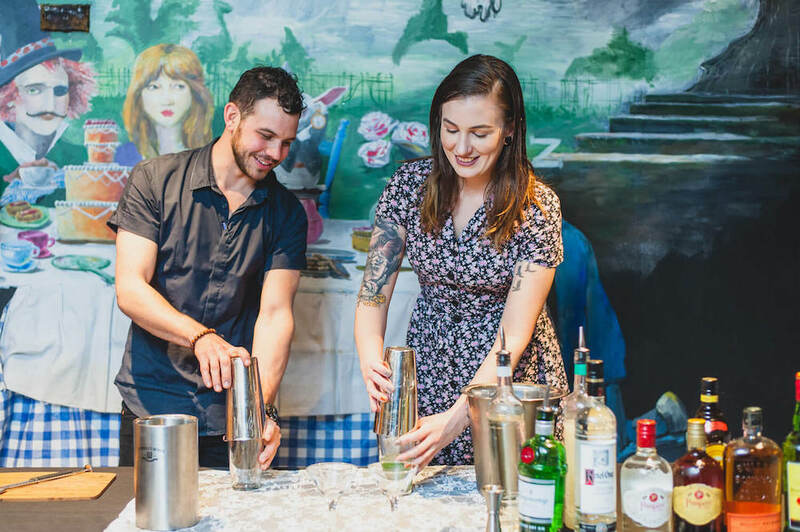 If you’re looking for something a little out-of-the-ordinary, Wolf Lane run private events during the week for special occasions, functions and aspiring mixologists. If you fancy yourself as a bit of a cocktail connoisseur, we’d highly recommend their seasonal masterclasses and private Drink-me cocktail experiences. We were lucky enough to take part in their winter warmers masterclass, with a menu that included a boozy hot chocolate (with marshmallows, of course) and honey tickle - let's just say, they didn't disappoint. The mixologists really know their stuff, so it’s a great opportunity to find out more about your favourite spirits or reconsider old friends that you may have written off in a past life (I’m talking about you - tequila). Check out Wolf Lane’s website for details about their latest events, opening hours and cocktail classes.